When Should You Wear Each Of These Products? When deciding on a scent, be it cologne, body spray, aftershave or deodorant – it can really boggle the mind on what might actually work for you. For instance, if you pick a musky cologne for evening wear, do you really want to pair it with a bright fresh aftershave or deodorant? Doing so could cause a muddied scented disaster for you and those around you. You will often find companies selling colognes, body sprays, and aftershave balms. In fact, you might find one company selling a single scent, but in 3 different product categories. 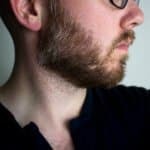 It can get terribly frustrating and overwhelming with all the information that is out there and trying to just simply figure out the differences between a simple cologne vs. body spray. 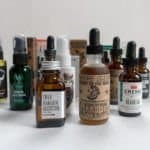 What gets the comparison between these products even a bit more tougher is that not only do colognes, body sprays, deodorants, and aftershaves share the similar scents – but also a few of them will typically share many of the same ingredients. 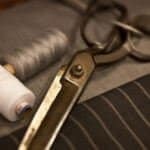 With this guide, you will know exactly what the difference is between all these products and how their careful selection will help to not only save you a few bucks along the way, but letting you know when to wear the right product at the right time. When looking at any of the product categories that we are about to compare, the one common denominator between all of them is that they are all going to evoke manly scents like cedarwood, sandalwood, vanilla, patchouli, musk, etc. 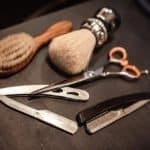 While there may be unscented aftershaves or deodorants, they are largely outweighed by their scented brothers – we will deep dive into unscented products in just a minute. Now, when it comes to fragrance, there are largely two different buckets that they fall into – synthetic and natural. While we here at Tools of Men largely prefer all natural scents like those found in beard oils, beard balms, aftershave balms, or shaving creams – we definitely acknowledge that not every product can’t pack the concentration of scents naturally when considering body sprays and colognes. The reason for our larger preference for the all-natural scents is that they are well…natural. 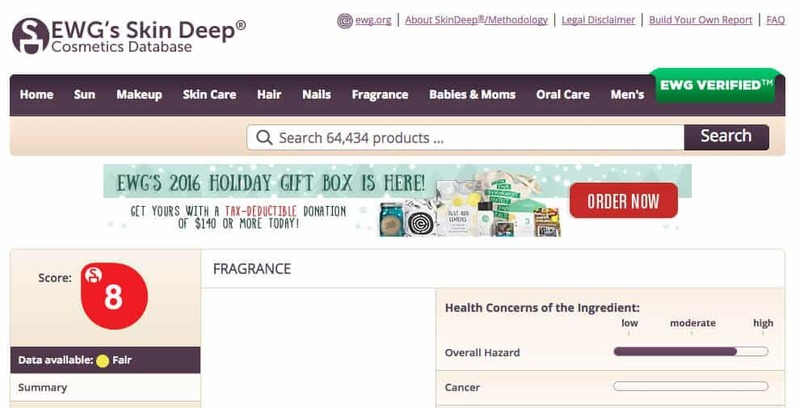 One of the large reasons for this high hazard score is that the term “Fragrance” when used in the cosmetic industry is actually an umbrella term that can contain a wide array of ingredients/chemicals (i.e. a few thousand). It’s in this family of ingredients/chemicals the consumer is left wondering what exactly they are applying to their skin. If a chemical derived fragrance is so hazardous then why do companies rely on them? As we eluded to earlier, their potency is unparalleled, therefore if you want to make a cologne that lasts several hours, then a synthetic fragrance will be able to achieve this result. Secondly, and perhaps most importantly, is that synthetic fragrances aren’t nearly as impacted by market conditions. If there is a sudden shortage (i.e. environmental disaster) of tea tree or cedarwood oils, then the price would skyrocket for the material. In addition to price sensitivity, natural oils can vary wildly depending on the source of the oil itself, ultimately giving an organization too much exposure to litigation should sudden rashes or other topical reactions occur. Simply put, a synthetic fragrance is more reliable on a price and quality stand point than a natural fragrance. Now with all the chatter about the composition of the scent and what goes into making it. It’s important to know the difference between how a scent may be portrayed. With fragrances in general, there may be a difference in scent when it comes to your skin type or environmental factors. Evening scents will typically have a heavier base fragrance that may showcase more of a cedarwood, patchouli, or musk. Now there is no real rule or law per se that says you must use one of the described scents above for evening wear – however they just generally tend to swing that way. On the flip side to that, with deodorants, aftershaves, and even some body sprays do tend to favor more of a classic fresh or clean feeling. But don’t be surprised, especially in aftershaves and deodorants should you come across many that offer an incredibly rich sandalwood base. Earlier we covered that synthetic fragrances tend to be substantially more potent that their all natural essential oil counterpart. But to put things a bit more in perspective, we developed a chart to visually demonstrate how all these product categories compare to one another based on relative strength. 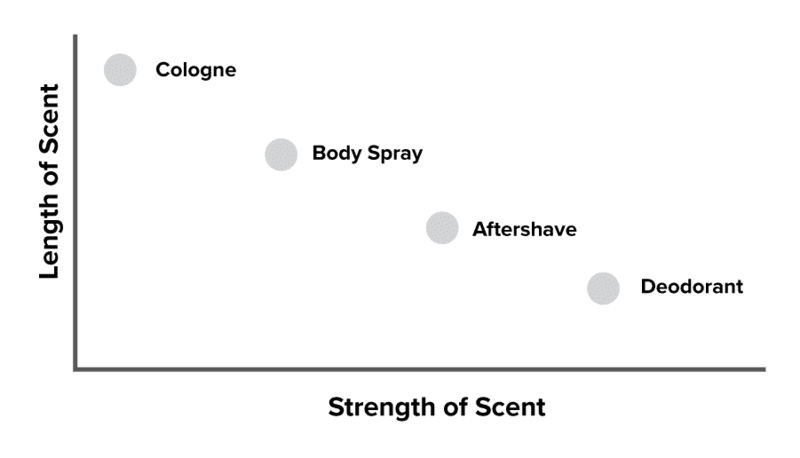 Based on the chart above, you can see that colognes will be the strongest form of scent that you can wear and will generally last the longest. After cologne, the second strongest will be body sprays. 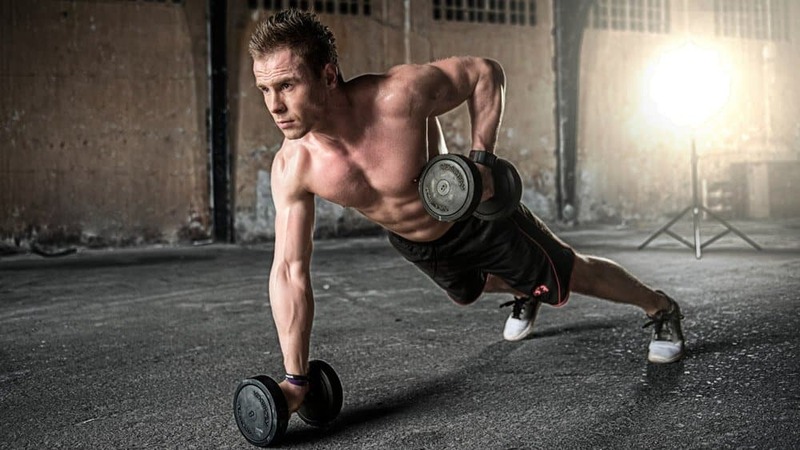 Body sprays in general tend to be great for daytime or after gym wear as their strength is strong enough to last a few hours, but not so strong to take you through the entire night. 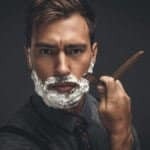 Aftershaves, when applied shortly after shaving will tend to carry their scent with them for only a couple of hours. Deodorant, the last on the chart above, will be a much more subdued scent that may last throughout the day, but in very little potency. 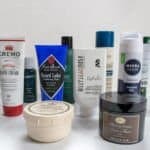 When it comes to frequency – deodorants and aftershaves will seem the most obvious (i.e. after every shower or shave), but when it comes to body sprays and colognes, it may get a bit hazy for some. Now deodorants aren’t antiperspirants – these are two different properties of the stick. For natural deodorants, these sticks will use a mixture of essential oils to release a typically fresh clean scent that will help to mask any sort of smell that you may emit from your body. Synthetic deodorants (think big box manufacturers), will usually rely on synthetic fragrances to evoke that manly smell. Antiperspirants on the other hand are typically aluminum derived and will work to close the pores underneath your pits in order to block foul smelling odor from making it to the surface. Many natural deodorants are not antiperspirants. As eluded to above, natural deodorants will likely rely on essential oils for scent which will last only a few hours, whereas a deodorant using a synthetic fragrance may linger for a significantly longer time. Of course most men apply either all natural or synthetic deodorants daily or after every shower. Reviews of the best natural deodorants. The classic aftershave used by so many men can come in a variety of forms – splashes, lotions, and balms. 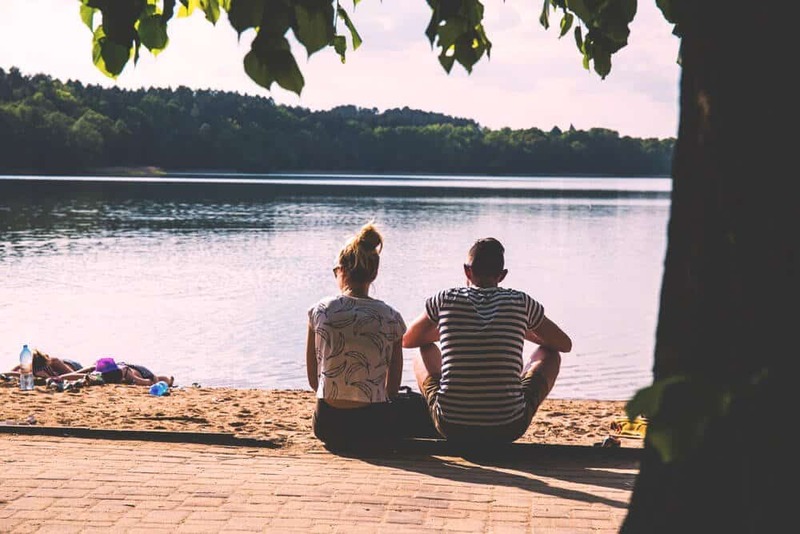 We discussed the differences between these products in this post, however know this – splashes and lotions will usually contain alcohol which will be a terrific antiseptic when applied to your skin – however alcohol completely dry it out to a crisp. Instead we recommend using aftershave balms as they don’t sting and will help to keep your skin feeling incredibly soft post shave. Aftershave balms can be both scented in the natural and through synthetic means – so be sure to check the label of your favorite bottle to find out. 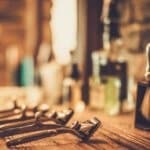 Reviews of the best aftershave balms. For their fragrance strength – body sprays will be great for your morning and stretching into the mid-afternoon hours. Also, if you hit the gym regularly on lunch or before work – they are a great way to help cover up any body scents if you simply don’t have time to take a quick shower before returning to your daily activities. What we generally recommend is that you check out fresher scents if the above scenario applies to you. Now if you are looking for a scent that will take you into the evening and isn’t necessarily too potent, then a body spray can be a great intermediary scent for you (or those around you) who may suffer headaches from prolonged exposure. As we discovered earlier, colognes are the heavy hitters when it comes to their scent strength. Finding the right cologne can be a life-long endeavor for some and straightforward selection of others. Of all the products that we covered so far – colognes are likely the one that will be the toughest to decide upon for a few reasons. First and foremost, everyone’s skin will give off slightly different smells compared to others- this is why some colognes may smell great for some men and extremely off-putting to others. 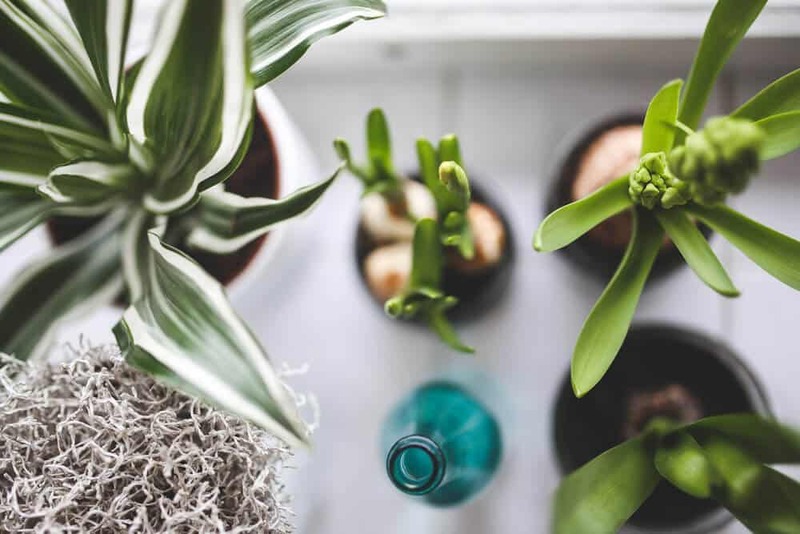 In addition, if you are living in a dry arid climate compared to one that is a bit more damp or humid may have an impact on the scent of the cologne as well. To make matters even more complicated some colognes can cost upwards to $100 while others may demand a sub $20 price tag. Needless to say, it’s a highly complicated purchase that, for some men, be frustrating to say the least. What we generally recommend before putting down any cash and buying a high-priced luxury cologne is to try out some lower priced alternatives. After trying a fewer lower priced products you can start to hone in on a fragrance that will work best for you – whether it’s a warm and spicy scent or perhaps one that tends to carry a musky profile. Now when it comes to the time of day that you wear it – colognes can be worn any time – however there are many that may be geared towards evening wear. Be sure to check the manufacturers description for the preferred application. Reviews of the best affordable men’s colognes. From our experience, we find that it’s best to try not and mix and match too many scents at a given time. A mixture of cologne, body spray, and aftershave especially may generate more of a muddied scent that can be confusing to the nose. If you can, we generally recommend to mix like scents when possible (i.e. clean and fresh deodorant mixed with a similar body spray). 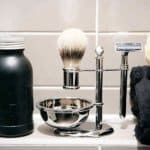 If in this scenario you also shave daily then perhaps explore a similar profiled or unscented shave cream and aftershave balm.